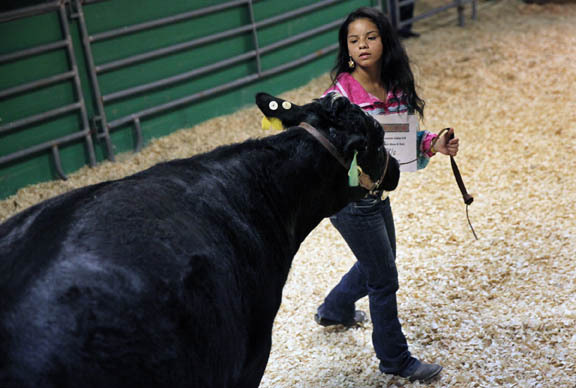 Ahnie Jumper leads her Grand Champion yearling heifer around the show ring during the 4-H show March 10 in Brighton. 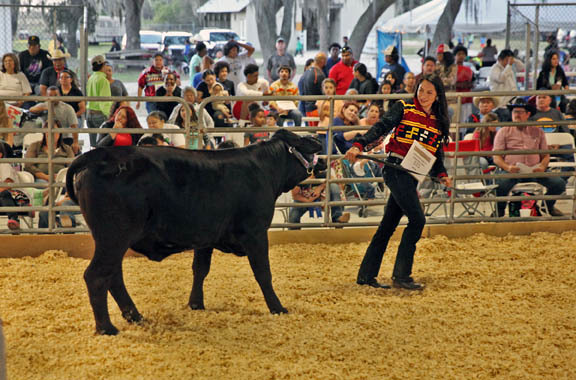 The 16-year-old has plans to take over her grandfather Junior Cypress’ cattle brand in Big Cypress. 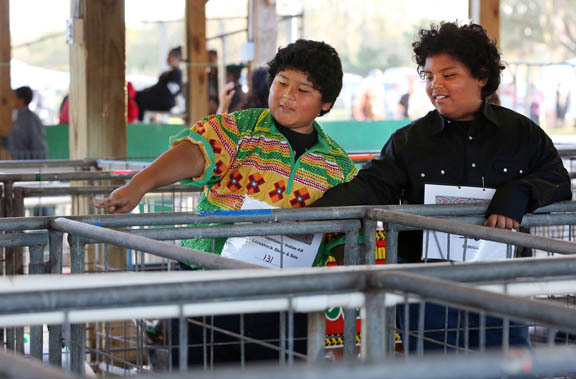 BRIGHTON — The Brighton 4-H barn buzzed with activity March 10 as 88 youth showed animals to a packed house at the Seminole Indian 4-H Show & Sale. 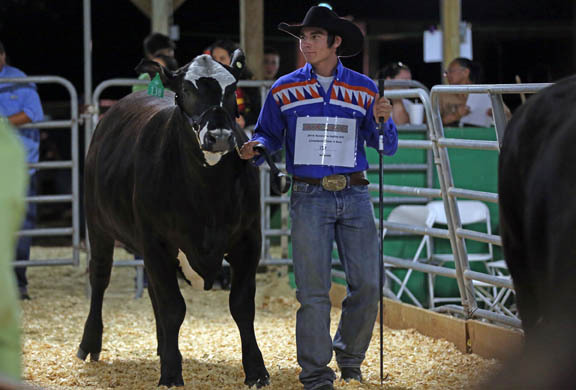 The show and subsequent sale were the culmination of months of hard work and commitment by the 4-H’ers, who have cared for steer since last summer and hogs since fall. 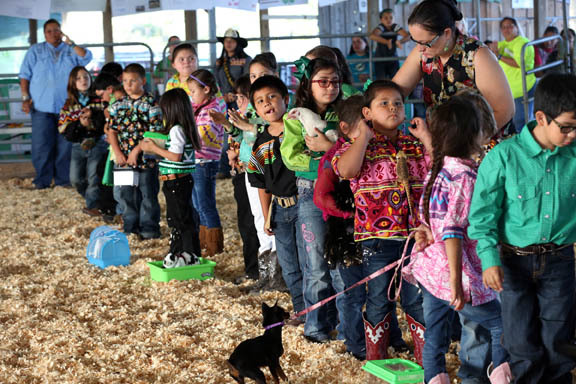 The 4-H program teaches youth how to raise livestock and send them to market. Children join the 4-H Cloverbud program at age 5 and learn to care for small animals such as hamsters, chickens, rabbits, ducks, puppies and parakeets. By 8, they may take on the responsibility of hogs, and at 10 they can raise steer. 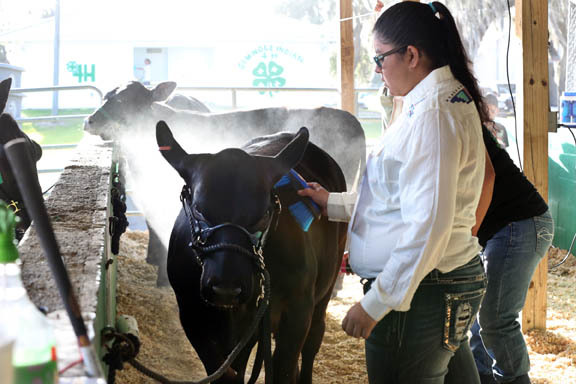 Alyssa Gonzalez has spent more than half her life as a 4-H’er, most recently in the heifer program. This year she showed a 2-year-old bred heifer and a cow-calf pair, no easy feat for the diminutive but tough 13-year-old. Alyssa also balanced school and softball with her 4-H responsibilities. During the three-year heifer program, participants show a yearling in the first year, a bred heifer in the second and a cow-calf pair in the third year. Six girls showed heifers this year, the largest group to date, said Melissa Gopher, heifer program leader. Many of the bred heifers were artificially inseminated with Salacoa seed stock, she said. Brianna Bowers, 14, showed her first heifer this year after working with hogs for several years. 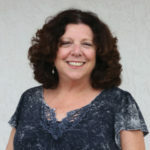 She wanted a change and looked forward to the three-year commitment. She worked hard to get it up to 1,000 pounds, taught it to walk on a lead and groomed it diligently. The process also taught Dayra Koenes, 15, more. Kalgary Johns, 18, a senior at Moore Haven High School, participated in her last show. 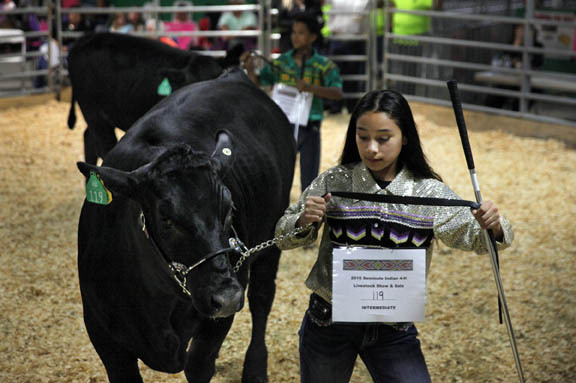 Her 1,261-pound steer took first in its class. 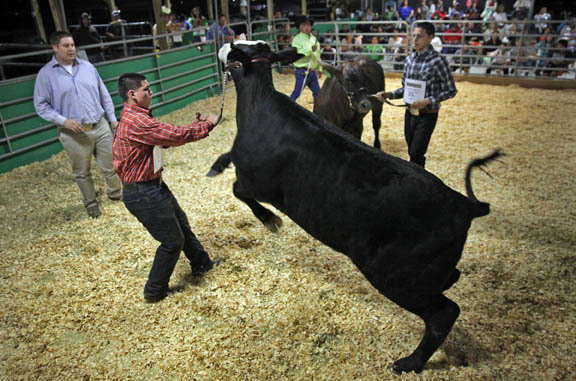 In the show ring, judge Kyle Mendes, a University of Florida graduate student studying meat science, critiqued the steer. 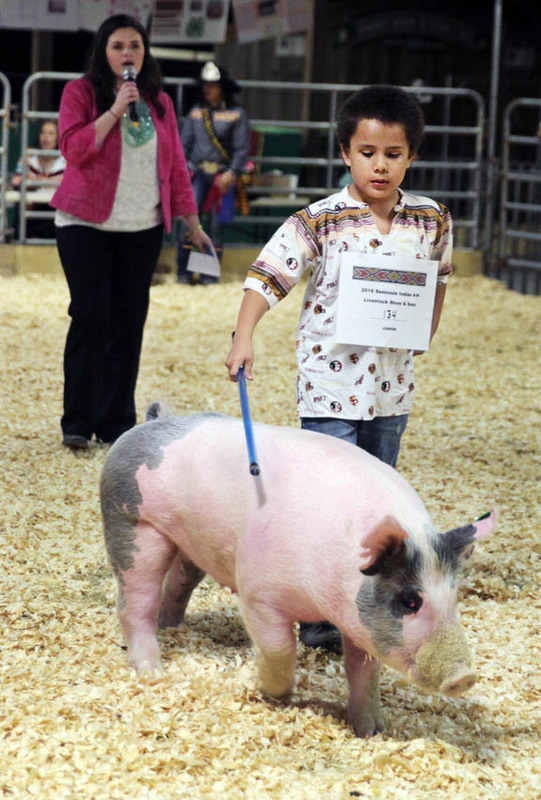 Oinks and squeals resonated in the hog barn as youth tended animals and waited for their turn in the show ring. 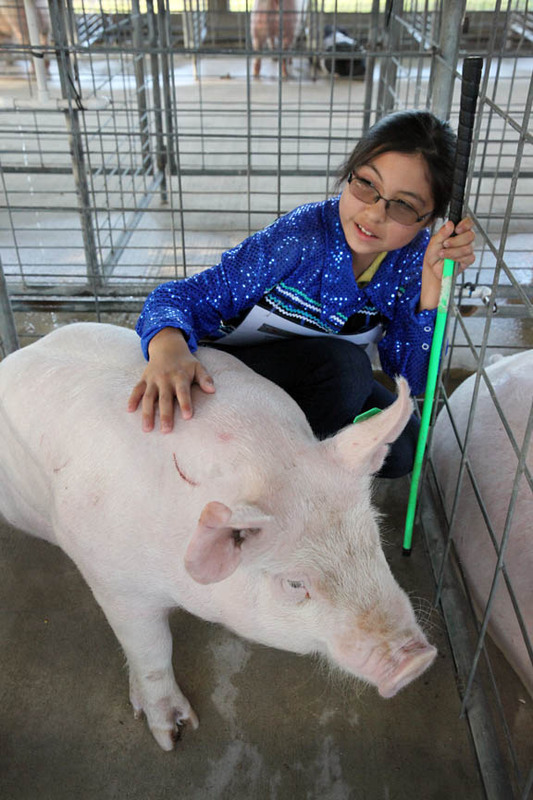 Illiana Robbins, 10, sat with her 251-pound hog before the show. In January she showed another hog at the South Florida Fair but said this one was harder to walk. She overcame the challenge, and her hog won Grand Champion Swine. 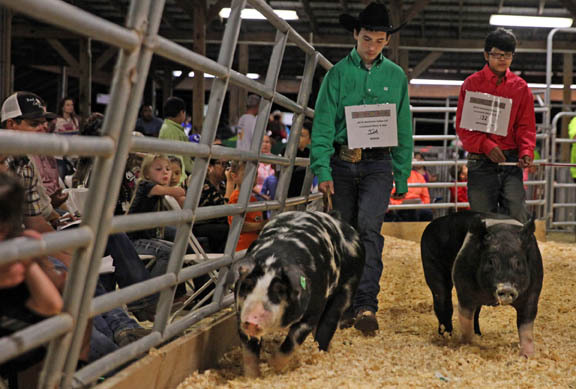 Only 40 hogs qualified for the show this year by meeting the 230-pound requirement; they usually have 60, said Polly Hayes, 4-H coordinator. The issue weighed heavily on 15-year-old Camryn Thomas as she tried to get her Hampshire hog up to the minimum required show weight. 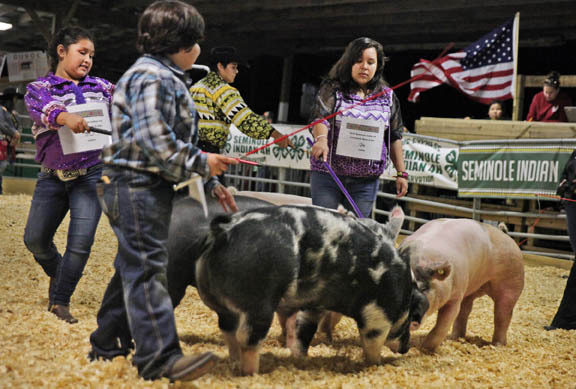 The hog weighed in at 247 pounds, and Camryn’s efforts earned her the Swine Senior Showmanship title. While the youth learn to care for animals and prepare them for market, they also learn the business of livestock. They carefully record each expense so when the animal sells they know their profit. All 40 hogs and 25 steers were sold March 11 and the 4-H’ers were pleased with the prices, Hayes said.